Get out of town with these interesting Rishikesh side-trips: Haridwar (Har ki Pauri & Ganga Aarti at Haridwar). There's much more to do: relax and float downstream with a rafting and tubing tour, contemplate in the serene atmosphere at Triveni Ghat, contemplate the long history of The Beatles Ashram, and take in the views from Lakshman Jhula. To see maps, more things to do, ratings, and tourist information, refer to the Rishikesh online visit planner . Nagpur to Rishikesh is an approximately 4-hour flight. You can also drive; or take a train. Wrap up your sightseeing on the 20th (Mon) early enough to drive to Mussoorie. Change things up with these side-trips from Mussoorie: Robber's Cave, Gucchu Paani (in Malsi) and Dehradun (Forest Research Institute & Tibetan Buddhist Temple). There's lots more to do: admire the sheer force of Kempty Falls, make a trip to Lal Tibba, walk around Company Garden, and look for all kinds of wild species at Binog Mountain Quail Wildlife Sanctuary. For other places to visit, photos, and more tourist information, read our Mussoorie road trip website . Traveling by car from Rishikesh to Mussoorie takes 1.5 hours. Alternatively, you can do a combination of bus and taxi. Finish up your sightseeing early on the 23rd (Thu) so you can travel to Badrinath. Badrinath is a holy town and a nagar panchayat in Chamoli district in the state of Uttarakhand, India. Spend the 24th (Fri) exploring nature at Valley of Flowers National Park. Next up on the itinerary: take in the spiritual surroundings of Shri Badrinath Ji Temple, steep yourself in history at Bheem Pul, take in breathtaking views at Vasudhara Falls, and contemplate the waterfront views at Saraswati River. Find out how to plan Badrinath trip without stress by asking Inspirock to help create an itinerary. Traveling by car from Mussoorie to Badrinath takes 11.5 hours. 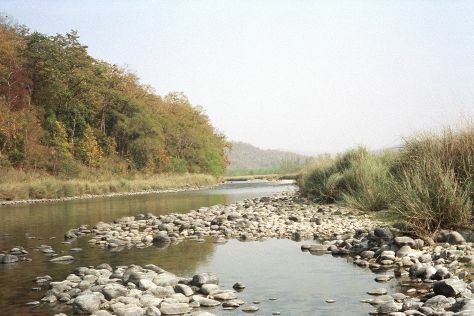 Finish your sightseeing early on the 26th (Sun) to allow enough time to travel to Jim Corbett National Park. Start off your visit on the 27th (Mon): take in the spiritual surroundings of Durga Mandir Temple, make a trip to Garjiya Devi Temple, and then explore the activities along Kosi River. Get ready for a full day of sightseeing on the next day: admire the engineering at Ramganga Dam and then see exotic creatures in open habitats at a safari tour. For other places to visit, ratings, where to stay, and more tourist information, read Jim Corbett National Park sightseeing planning site . 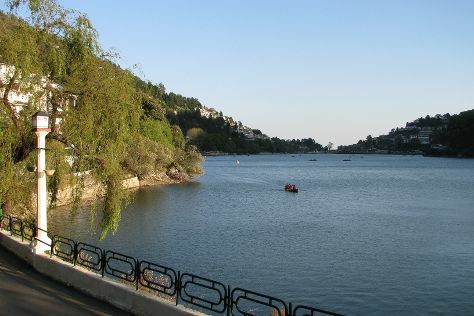 Nainital is known for nature, historic sites, zoos & aquariums, parks, and shopping. Your plan includes some of its best attractions: contemplate the waterfront views at Nainital Lake, admire the engineering at Kalagadh Dam, take your sightseeing to a higher altitude at Naina Peak, and get outside with Kunjkharak. For traveler tips, other places to visit, ratings, and more tourist information, use the Nainital visit planning website .